It is an addict’s nature to become lost in thinking they need to pursue their addiction in order to satisfy it. People burn through reserves of time, money and energy immersing themselves in their addiction. They gratify themselves with the most extreme expressions of their addiction but at the end of the day, they are left unsatisfied and wanting more. 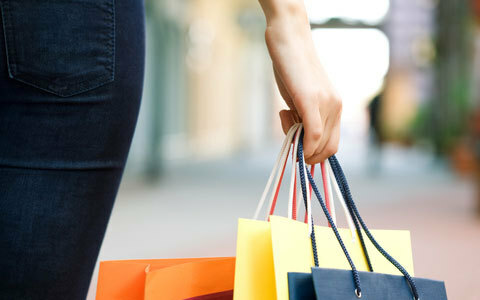 When you apply this to an out of control shopping addiction, it is easy to connect this type of thinking to the classic shopping addict, with clothes and shoes spilling out of their closets, kitchen gadgets tumbling out of their cabinets, accessories cluttering their drawers and shelves. They seemingly never stop accumulating stuff, yet they never find that permanent feeling of satisfaction they are looking for. The reason for this is simple. Their desire to buy things is a mislead one. They think that shopping is at the heart of their craving when actually, they are seeking a much deeper type of fulfillment. A shopping addict, or any other kind of addict for that matter, is correct in sensing that they must seek something they are missing. They are just incorrect about what they are missing. Their living space would certainly indicate that they are not missing stuff one can find in a store. What they are missing is wholeness as a person. They are missing something in the way of purpose, meaning and identity. The origins of this problem are deep and cloudy and hard to discover, which is why a person should not feel alone in their attempts to discover them. Professional counselors and addiction specialists do this kind of thing for a living, and they are very experienced and intelligent in navigating through it. A person can cut to the chase of their shopping addiction and discover the underlying causes of it by tasking advantage of the services a mental health professional provides. If you or someone you care about is a shopping addict, do not remain lost in what to do about it. Seek the services of a counselor today to regain a functional amount of mental health!